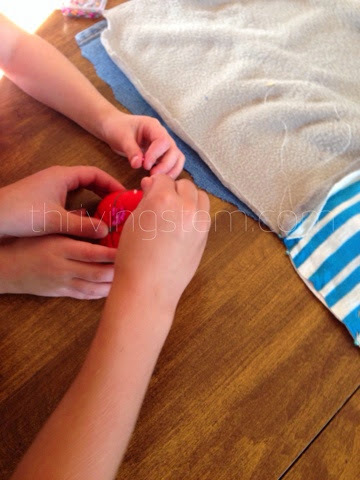 Babies learn about their world by using their senses. You might say that some of their first experiments consist of connecting what things look like with what they feel like. For this month's Recycle Create! 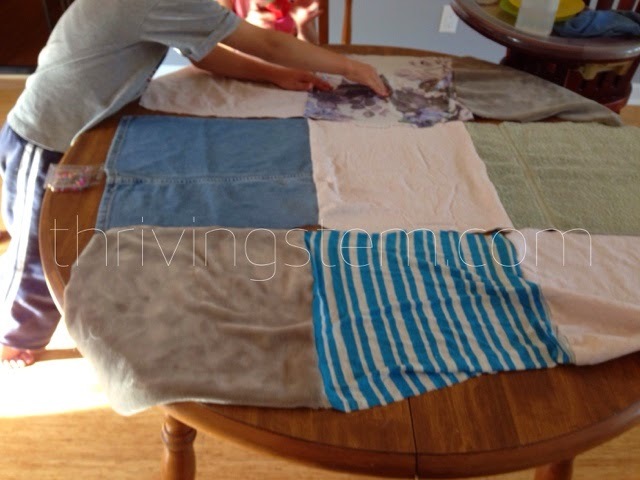 project, I made my littlest one a quilt that allows her to explore different textures. I am not a skilled seamstress. This is a super easy project, so if you are looking for a place to begin learning to sew, this would be a great first project. 1. 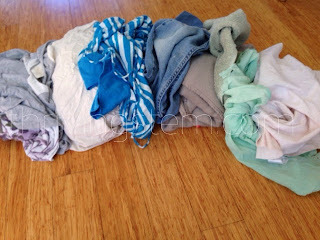 Gather fabric. Mine came from the bin where I throw old clothes that are too worn to donate at the thrift shop . I purposely chose several very different fabrics. 2. Find or make a large square to use as a pattern. 3. Cut around the pattern. Repeat for each fabric until you have nine (or more) squares. 4. 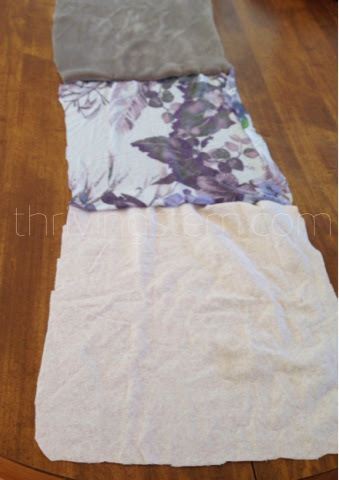 Lay out the squares to see how you want your quilt to look. 5. 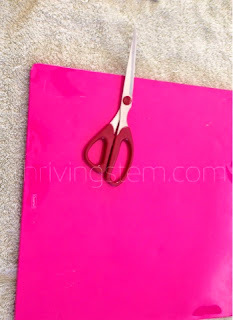 Pin the squares into rows, with the pretty sides facing each other and the back sides on the outside. Typically, you should avoid using with different weights and elasticities in the same project. 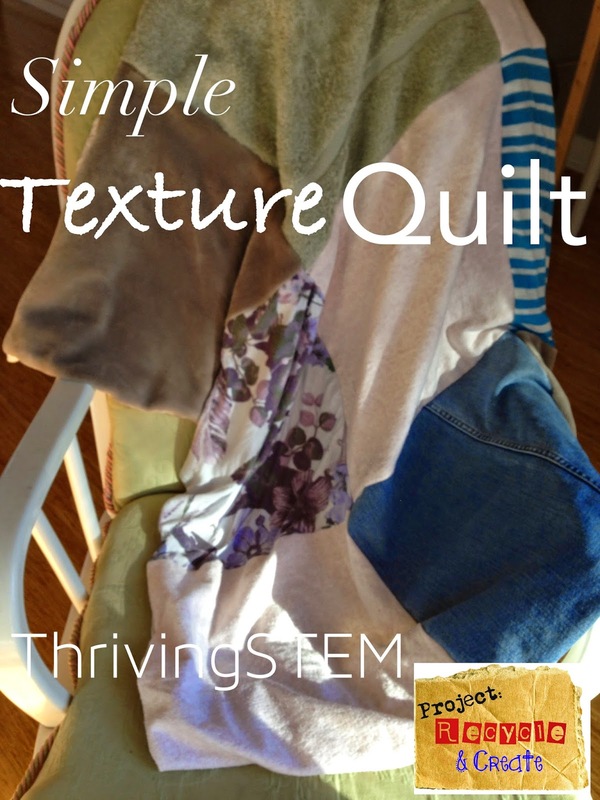 Since my goal was to create a quilt with diverse textures, I did mix fabrics. To make sure everything laid out well , I pinned the corners first, then the middle , then added a few more pins. Start by pinning the squares into rows. 6. 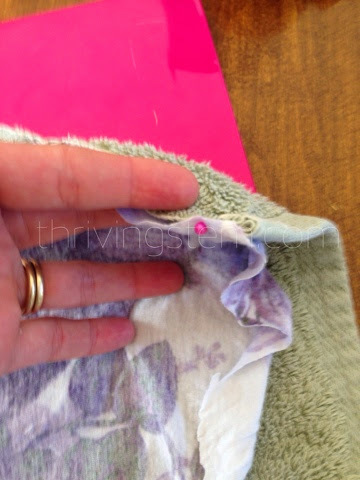 Sew the edges together. 7. Next, pin the rows together, square by square. 9. Lay the squares on top of the sheet. Cut around the outside of the sheet allowing an extra inch of fabric. 10. Pin the top to the sheet. (Pretty sides together!) 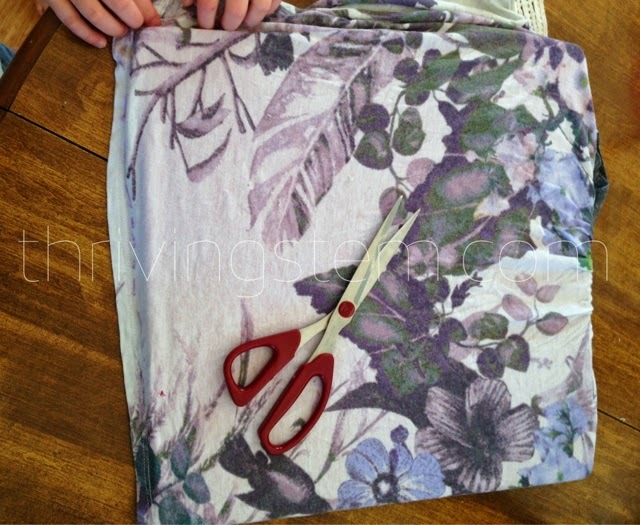 Sew all but one edge of one square to the sheet. 11. 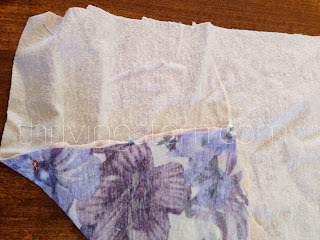 Turn the quilt right side out, and sew the opening shut. 12. 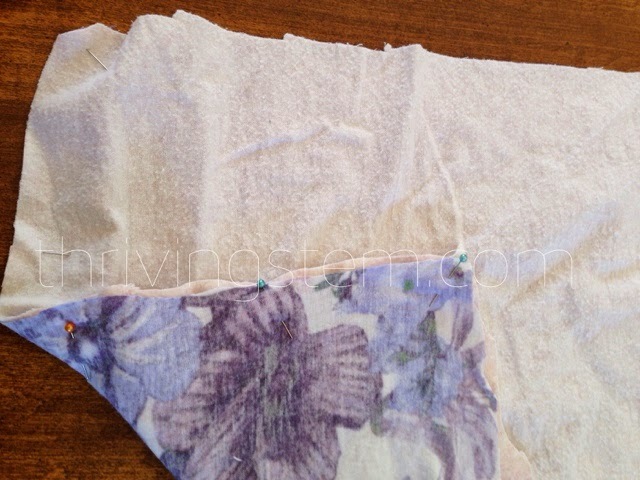 Use a needle and thread to sew the corners of the middle square to the sheet backing. Congratulations! You have just made a comfy quilt! As you can see, my older children were eager to get in on the action. They helped make the fabric selections, pin the fabric together, and seem more interested in the finished product than their baby sister! Can I make a confession? I don't really like to sew, but I am learning. Learning to like it I mean. My middle school required home ec, including sewing, and all the girls were required to wear their end of the year projects to school. Talk about motivation to learn! 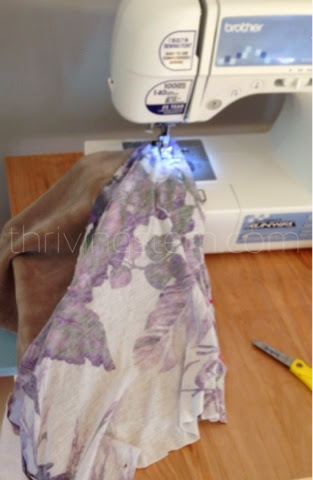 I learned to sew as a teen, but I am learning to enjoy sewing as an adult. I can honestly say that I enjoyed this project. Learning to sew, and like it, is part of being a maker with my children, so that they learn to enjoy being makers too. Being "makers" together is one of the strategies I recommend in "Four Strategies for Raising Kids who Love STEM." Read about the other three when you sign up for the Thriving STEM newsletter. I love all the different textures in this quilt! What a fun way to use old fabrics! What a great idea! 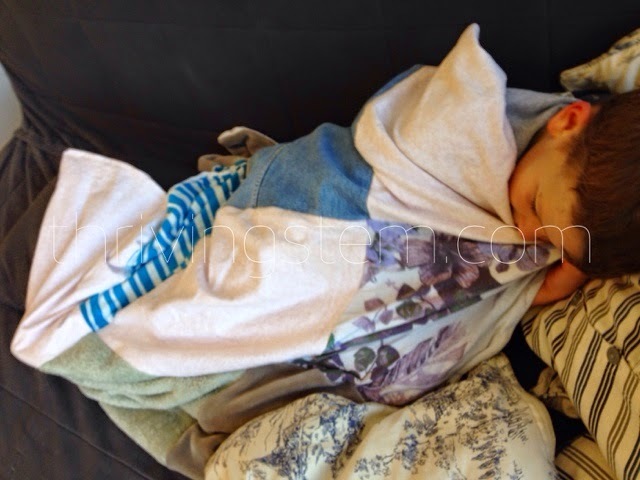 I made a texture book for my babies, but a quilt would grow up with them better.